It isn’t enough to talk about peace, one must believe it. And it isn’t enough to to believe in it, one must work for it. 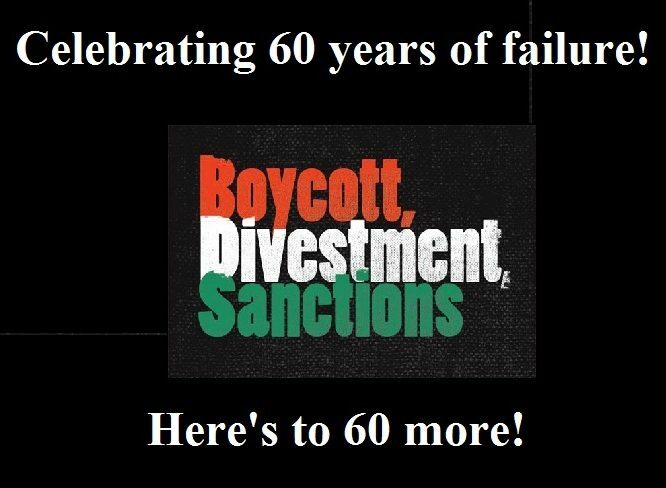 The “BDS” or “Boycott, Divestment and Sanctions” movement advocates the demonization of Israel and her actions. Supporters of BDS are waging a political, economic, cultural, and ideological campaign to delegitimize the State of Israel. BDS proponents make a false analogy between democratic Israel and Afrikaner South Africa so as to isolate and stigmatize Israel. Advocates of BDS deny Israel the basic human right of self-defense and blame Israel alone for conflict in the region. BDS supporters demand self-determination for the Palestinians but do not acknowledge the right of the Jewish people to self-determination in their homeland, Israel. The BDS movement is rapidly spreading on campuses and communities, representing a looming threat to Israel and its supporters. You Will Make A Difference! Each of us can make a difference toward creating a world where Jews, Muslims and Christians – Israelis and Palestinian – will live and work and play together. We envision a future where Arab and Jewish children will think about fulfilling their dreams rather than having nightmares about conflict. One obstacle to peace today is the global effort by some organizations and individuals to delegitimize Israel through a combination of actions, such as boycotts, divestment, and sanctions (BDS) aimed at isolating and punishing Israel. If you do not act, this campaign to delegitimize Israel may gain (further) momentum, endangering not only Israel’s good name, but also the acceptability on campus of supporting Israel. By following the recipes in this cookbook, however, you can stop this destructive movement from poisoning the campus environment. Simultaneously, you can contribute to the broader mission of bringing dialogue, reconciliation, tolerance and peace, and all their benefits, to all the peoples of the Middle East.